One of the most unique challenges of ‘Mesh’ for me is to go back and re-capture what it feels like to be a kid. No joke, when you’re in your forties, writing young is tougher than you think. Early beta reader drafts included a lot of feedback on how ‘old’ the kids sounded. It didn’t take long for me to understand the truth: I’m not a kid anymore. My perspective has changed, my viewpoints have changed. I approach problems with a different outlook than I did when I was fourteen, and if you aren’t careful, this comes through in your writing. 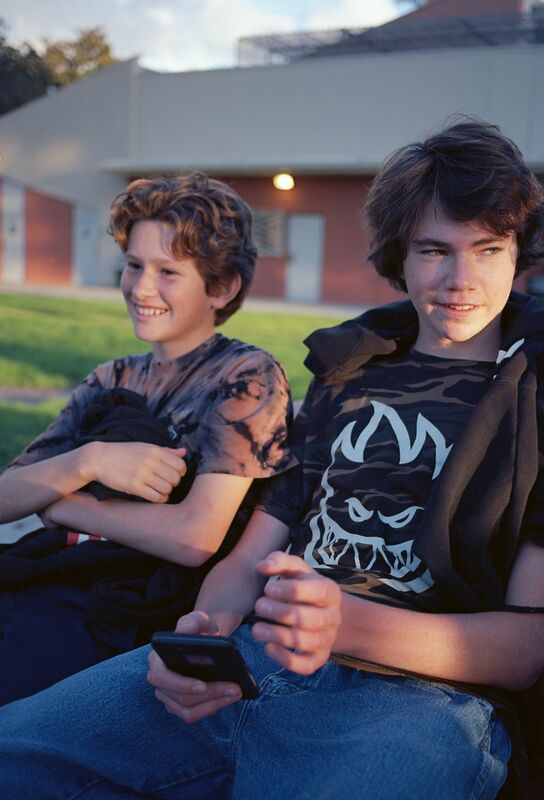 I was reading this article about modern kids in the California Sun, and the pictures reminded me of me when I was in my teens. It also reminded me that no matter what, kids are still kids. Sure, they have new gadgets, new fashion, new problems and new opportunities compared to me. But, the bottom line is that they’re still smart people, strong people, demonstrating their potential while learning about the world around them. Roman and Zeke – the main characters of Mesh – do too. When they come to life in Mesh, they will be somewhere in the future. Like these young people, they’ll find themselves deep into adult problems they never dreamed existed, they will also wrestle with challenges no kid should have to deal with. However, like these kids, Roman and Zeke are going to find their way through. They’re going to succeed, they will overcome, and we will be proud of them when that happens. Capturing that voice, that unique moment in a young person’s life, is hard work for me. Yet, it’s fun work, and with the help of the Mesh community, I know that I will get it right.